Eggs are always in season and a wonderfully versatile ingredient. I am blessed to have access to local, organic eggs at $2.25/dz. I could eat eggs for breakfast and supper in the same day; I don't, of course, but I could. Today I want to share with you two great egg recipes that just might be out of your normal scope of egg cooking and eating. Sometime ago, while flipping through an issue of Everyday Food, I came across several recipes that involved baking in parchment paper packets. The salmon recipe is amazing (will have to share another time). The egg recipe, equally superb. Combining eggs with seasonal veggies, you'll have a balanced, semi-fancy meal within 20 minutes. It's perfect for breakfast, brunch, or supper. Parchment paper is a little pricey, but I find having a roll on hand is indispensable. 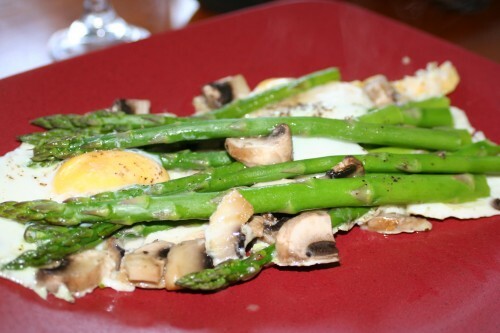 Bake until the egg whites are set and asparagus is tender crisp, 8-10 minutes. Top with shredded Parmesan cheese, if desired. 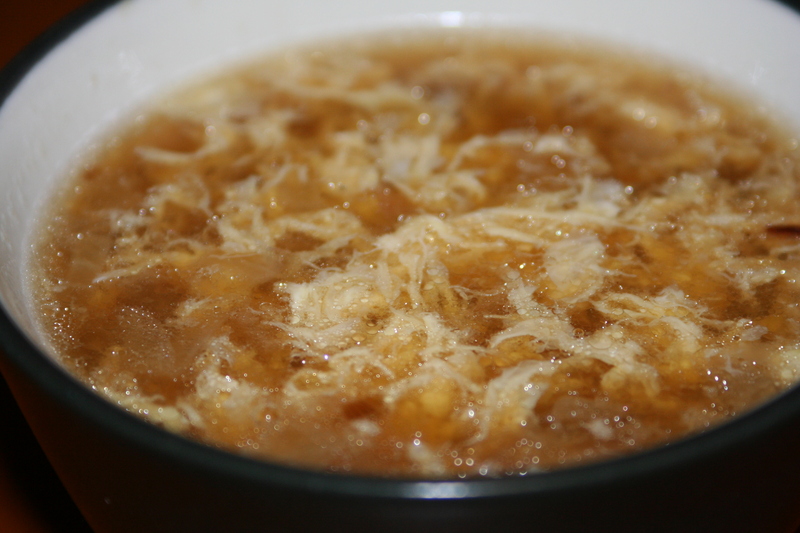 Egg Drop Soup is a super easy and yummy first course for a home-cooked Asian meal. If you're making this gluten-free be sure to use gluten-free soy sauce. Heat the canola oil in a large saucepan over medium-low heat. Add the white parts of the scallions and sweat for five minutes. Pour 3 1/2 cups of broth into the pan, reserving 1/2 cup. Add the sherry, soy sauce, salt, ginger, and white pepper. Bring to a boil and let cook for 5 minutes. Mix the cornstarch with the reserved broth in a small bowl, and add to the pan. Add the sesame oil. Turn the heat to low. In a separate bowl, beat the eggs, then add to the broth while stirring rapidly in a clockwise motion. Stir for 1 minute, until the eggs have cooked and look like shreds. Sprinkle the soup with the scallion greens. Serve hot. Serves 4. I will have to try both of these. They sound amazing and I have always wanted to try egg drop soup. Thanks!! !